After Puerto Rico also Dominican Republic is hit by Hurrican Irma. Irma’s strong winds and torrential rains pummeled the Dominican Republic on Thursday, damaging homes and inundating streets in the beach towns on the north coast, according to local media reports. Banana suppliers in the Unites States mentioned, that it has been a frustrating experience these past few months as suppliers are having trouble delivering the product to market. 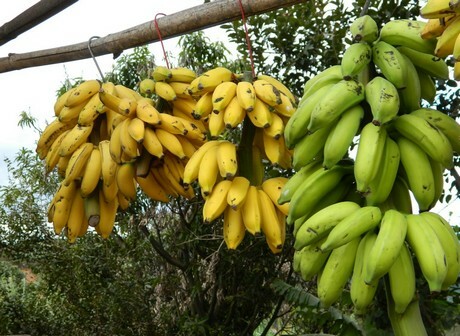 While bananas are generally in good supply all year, growing and shipping them has been hampered by heavy rains and rough seas in recent weeks. And with Hurricane Irma bearing down on the Caribbean later this week, the problem looks set to continue in the near term. The Secretary of the Department of Agriculture of Puerto Rico, Carlos Flores Ortega, accompanied by his team, has been working on site to assess the damage to the island’s agricultural sector caused by Hurricane Irma. Flores started his route in the southern area, where he came across partial damages, mainly in plantain, banana and papaya plantations. He talked to several producers, who informed him that the southern area didn’t have as much rain as the rest of the Island. "The growing regions have been finding it tough to keep up with production in recent weeks due to torrential rain from hurricane and tropical storm conditions," said Katelyn Bain, of Coast Tropical in California. 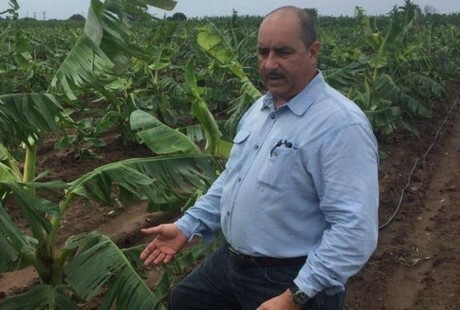 "We mainly source our bananas from Mexico and Guatemala, including our Chiquita and Manzano bananas, and we've seen a lot of rain in those areas." Although the excessive rain has created problems on the ground in the growing regions, it has been on the shipping front where most of the impact has been felt for importers. "The recent hurricane activity has caused havoc with our shipments," continued Bain. "We have major warehouses in Florida and Texas, and we haven't had great success recently in shipments to them from Central America. We simply haven't been getting enough boats into the ports. They have either been delayed or quotas are lower than we expected once they arrive." Despite the supply issues, banana prices have remained fairly stable during the summer months. "Prices have remained steady at around the $17-$19 a box mark," said Bain. "We don’t have a lot of varietal banana inventory and it has pushed the market price to the higher side for the varietal bananas. It simply means we can't get as many to our customers as we would like. During the California summer, there is an abundance of other fruits, mainly stone fruits and melons, and demand for bananas is generally slower. It's the Winter months where we see a higher demand for bananas because there's not a lot of other fruit around at that time. So luckily there is still something sweet we can give them instead at this time of year!"